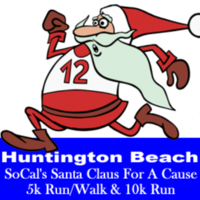 Put a healthy kick into your Christmas with SO CAL’s SANTA CLAUS for a CAUSE / Ugly Sweater 5K. It’s the ultimate Christmas run. Professional RFID Chip Timed in both races. You’ll enjoy Christmas carolers along the course and a festive post-race celebration with Christmas Goodies, Coffee, Hot Chocolate, and Raffle! This event is meant to get you in the spirit of Christmas. And it gives back! Santa Claus with a Cause uses its proceeds to gift those who otherwise would not experience a Christmas and sincerely need staple goods to survive. Location for optional early packet pick up is at ROADRUNNER SPORTS, 1835 Newport Blvd, Costa Mesa, CA. 92627. *Packet Pick up available on race day from 7 a.m. to 9 a.m. This is the Event that Gifts back. Our gift to ourselves is health, Our gift to others is 2019/2020 projects. This is how you can help. Bring health care products for our local homeless houses: we need toothpaste, brushes, toothbrushes, towels, soap, shampoos. There will be boxes at registration to place your items in. Internationally, A portion of your entry fee goes towards sending funds, shoes, and clothing to porters, guides and their families on Christmas Day. Porters in Africa carry loads up Mt. Kilimanjaro for a living. And Locally, Tear down an unsuitable trailer & pour the foundation for a wheelchair accessible unit on Miss Pam’s Ranch. December 18, 2018, 12:00am PST June 30, 2019, 8:59am PDT $30.00 Race Fee + $3.00 SignUp Fee ? 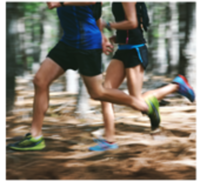 June 30, 2019, 9:00am PDT September 29, 2019, 11:59pm PDT $35.00 Race Fee + $4.50 SignUp Fee ?